The world’s ESG investment assets have reached nearly $23 trillion in 2016. Investors are starting to pay more attention to the risks related to sustainability. To respond to investor’s expectation, several stock exchanges have launched guidelines on disclosure of non-financial information. 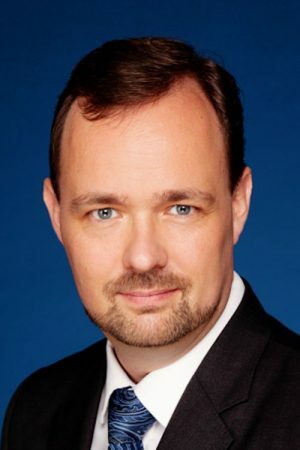 In this interview, we asked Stefan Ullrich, Director, Sustainable Finance at Paia Consulting in Singapore about corporate sustainability in Southeast Asia where several stock exchanges have launched requirements on disclosure of non-financial information. Q. The Singapore Exchange (SGX) has created requirements and guidelines that ask listed companies to conduct annual reviews on their sustainability issues and practices. How did the SGX come to issue these requirements and the guidelines? SGX introduced ESG reporting on a ‘comply or explain’ basis in 2016, which means that all SGX-listed companies have had to prepare an annual sustainability report from their financial year 2017 onwards – or explain why they do not feel the need to consider ESG issues. By introducing these new listing requirements, SGX effectively made ESG reporting mandatory, pioneering greater transparency and improved disclosures on risks and opportunities for investors in South East Asia. This initiative, which coincided with SGX becoming a Partner Exchange of the United Nations Sustainable Stock Exchange initiative, was the culmination of a long process that started with SGX’ “Guide to Sustainability Reporting for listed companies” and its “Policy Statement on Sustainability Reporting” in 2011. So the exchange’s engagement with sustainability has a long history. 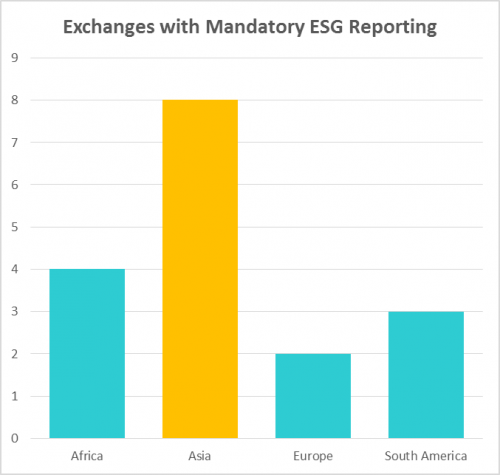 It is interesting to note that Asian exchanges are leading the rest of the world in terms of making ESG reporting mandatory: Out of altogether 17 exchanges around the world that have so far made ESG reporting mandatory, eight are based in the Asia-Pacific region, only two in Europe and none in North America. Q. Do you see any changes in sustainability reporting after the requirements were launched? Exchanges in South East Asia making sustainability reporting part of their listing requirements has led to a marked increase in the overall adoption of reporting. The quality of reporting, however, is not yet where it needs to be if investors want to use them to make smarter investment decisions. listed companies’ sustainability reports. Last year, Bursa Malaysia conducted a review of the sustainability reports published by the largest Malaysian corporations and actively supports its listed companies in stepping up their reporting practices. Meanwhile the president of the Stock Exchange of Thailand (SET) has made sustainability one of her top priorities and is personally engaging CEOs of listed Thai companies, encouraging them to adopt sustainability reporting (which is not mandatory in Thailand). 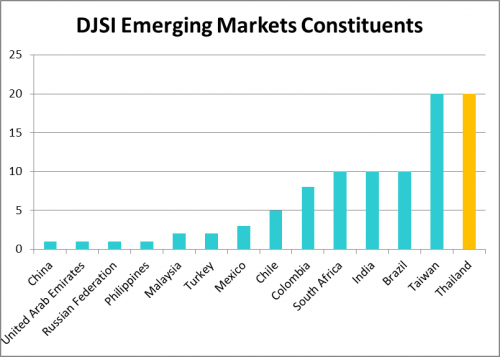 As a result, nine companies listed on SET were included last year in the prestigious Dow Jones Sustainability World Index and 21 in the DJSI Emerging Markets Index – far more than from any other market in ASEAN. Most companies in the region are still new to ESG reporting and producing a high-quality sustainability report requires mastering a significant learning curve. A core concept of sustainability reporting is the idea of ‘balance’, which is to say the report should not only highlight a company’s achievements in corporate social responsibility (CSR), but also explain where it faces difficulties in implementing more sustainable business practices. While it is fair to say that companies all over the world are struggling with this concept, it is even more problematic in an Asian context, where this kind of honesty is often perceived as a loss of ‘face’. Related to the previous point, Asian companies sometimes perceive sustainability to be a ‘western agenda’ and are still in the process of developing their own narrative. It will be interesting to see how this plays out over the next few years and how investors will ultimately respond to these developments. But even where a company’s top management fully embraces sustainability and develops a sophisticated reporting practice, challenges remain, especially when it comes to driving change throughout the organisation and into its supply chain. To facilitate these changes, we always encourage our clients to focus not only on the risks arising from sustainability, such as potential future liabilities and cost from, say, the introduction of a carbon tax – but also on the enormous opportunities that true sustainability has to offer. By recognising emerging megatrends such as the accelerating decarbonisation of the economy, the need for innovative agriculture to safeguard food security for a growing world population, or impending paradigm shifts in personal transport and energy storage, companies can gain an enormous strategic advantage over their less sustainable competitors. Q. What do you think are the important sustainability issues that Southeast Asian firms need to work on? And why? South East Asian firms often find themselves at the nexus of some of the most complex sustainability issues. Take palm oil: Malaysia and Indonesia are jointly responsible for about 86% of global production (see Note) of this most versatile vegetable oil. Palm oil is an important ingredient in a very broad range of products, including a large number of food items, cosmetics, detergents, and industrial chemicals. It is also the oil crop with the highest yield, with every hectare of palm oil plantations producing almost ten times more oil than can be achieved with soy beans. This would make palm oil an indispensable part of a 21st century sustainability strategy, minimising environmental impact by producing the required amount of oil from the smallest possible area of arable land. But then palm oil is also used to produce biodiesel, most notably in the European Union. Following the introduction of mandatory biodiesel quotas in the EU starting with the Biofuel Directive in 2003, palm oil production in Malaysia and Indonesia surged, which accelerated deforestation in these countries as plantations expanded to meet rising demand. When scientists looked at the consequences of this expansion, they realised that when South East Asian peatland – where much of the deforestation happens – is degraded, it ends up releasing enormous amounts of greenhouse gases (GHG) into the atmosphere for decades to come. So on top of causing habitat destruction and enormous losses in biodiversity, biodiesel from palm oil also ends up being worse with regard to climate change than traditional fossil fuels. In response to these new insights, the EU passed legislation in 2018 that effectively bans South East Asian palm oil as a feedstock for biodiesel and reduces its use to zero by 2030. Caught in this sustainability-driven seesaw are producers of palm oil and – most critically – large numbers of small-holder farmers across the region who depend on this crop for their livelihoods. South East Asian companies, therefore, need to urgently find ways to navigate these new requirements in order to stay viable and be able to continue contributing to their countries’ prosperity and the well-being of all their stakeholders. Strategically, this will include finding ways to increase yields but also to monetise the value represented by tropical rainforests or mangroves and peat lands in order to diversify income streams for local farmers and communities. Sustainability is about finding ways for local societies to prosper and putting a stop to deforestation and runaway carbon emissions – all while keeping the companies that drive South East Asia’s development viable. Q. GRI published a paper which explored reporting trends between now and 2025. GRI predicts that the reporting format will change from “annual reports” to “data exchange” and climate change, human rights and wealth inequality will be the key issues that need to be addressed. What do you think the future sustainability reporting will look like? The major frameworks for sustainability reporting such as the Global Reporting Initiative (GRI) Standards or the Sustainability Accounting Standards Board (SASB) are constantly evolving. Meanwhile new tools are emerging to help companies manage their sustainability and measure their progress, such as the recommendations by the Task Force on Climate-related Disclosures (TCFD) or the Science Based Targets (SBT) initiative. What all of these approaches have in common – and I agree with the GRI assessment as to where we are headed – is that they are increasingly data-driven, aiming to make sustainability quantifiable and measurable, providing companies with guidance and tools to align their performance with what is required if we want to avoid the worst consequences of unsustainable business practices. Today, some of those negative impacts are already well under way, with billions of dollars in damages now occurring every year. We are already experiencing climate change through weather and temperature extremes, such as accelerated melting of ice caps in Greenland and Antarctica, and global water imbalances, with an increased incidence and severity of droughts as well as flooding. This often has unexpected consequences: during last year’s record summer heat, low water levels in German rivers eventually led to gasoline shortages across the country as the barges that are normally used to ship fuel upstream could not be used anymore. Changes such as these will continue to accelerate and damage to the global economy will continue to mount until it reaches ‘critical mass’. As and when that happens, I expect reporting requirements to become much stricter than they are today. Most of the ‘optionality’ will disappear (e.g. reporting scope and comparative freedom in determining material issues) and reports will become much more ‘data-centric’. One group of companies that will find significant opportunities in these developments are today’s fintech providers who can apply their skills to entirely new kinds of problems and in due time reap the rewards.